deVine and David Gordon of Saverio Schiralli Agencies proudly present an evening of Quinta of Portal wines with export managers Pedro Almeida Santos and Paulo Marques on Tuesday, March 2 at 7pm. 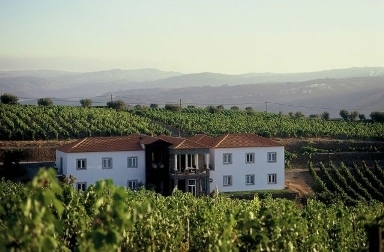 Portal is one of the increasing number of family owned wineries (or quintas) spouting up in Portugal and in just a dozen years or so as shippers has been on a fast track to success with world wide recognition for their ports and red wines. We will sample a white, several reds and ports from this rapidly rising and award winning (Wine & Spirits Magazine’s Winery of the Year for 2009) Portuguese house located in the heart of the Douro Valley. Portuguese wines offer the best bang for the buck in the old world, and you will see why in this rare tuesday night sit-down tasting. Much press has been heaped on this house: Forbes Magazine recented elected Portal as one of the ten great international wine destinations with its great guest house and beautiful views. “Street Hockey Downtown Style”……Catch the Olympic Spirit! The first 100 children will be given a free table hockey stick to play their game and keep as a souvenir. Players of the fun match can then go into the sponsoring business and obtain their prize, a brand new shiny Olympic quarter featuring Canadian speed skater Cindy Klassen. 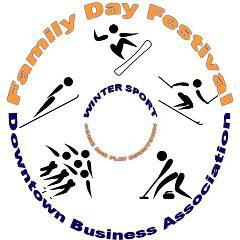 City of Edmonton staff will be on hand at each table to supervise children and provide directions.